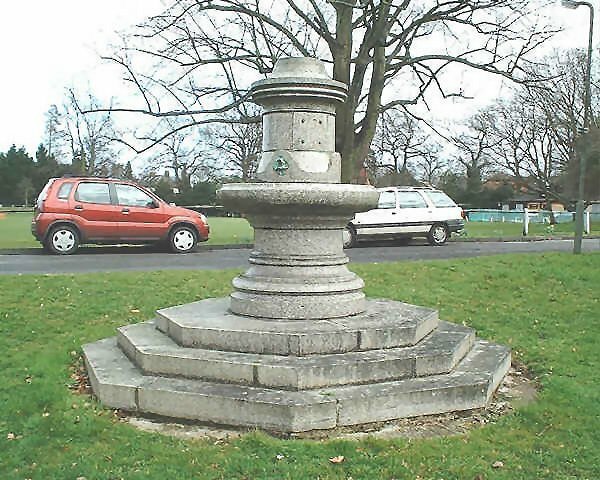 Drinking fountain at Weybridge. Photograph dated 1st March 2008. 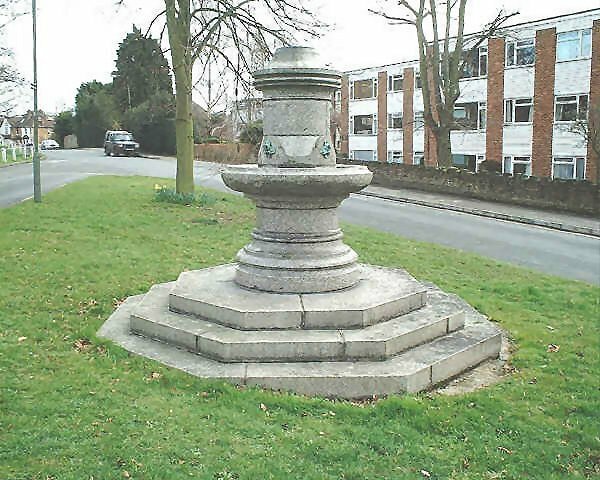 This drinking fountain was erected near the top of Weybridge Hill and in 1971 was moved to it's current site in the junction between Hanger Hill and Princes Road, Weybridge.. 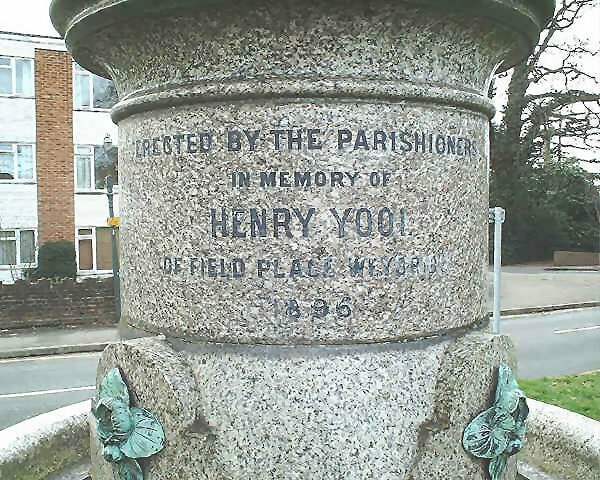 It was erected in 1896 as a monument in memory of Henry Yool, a local benefactor who had been Vice-Chairman of Surrey County Council between 1889 and 1892. 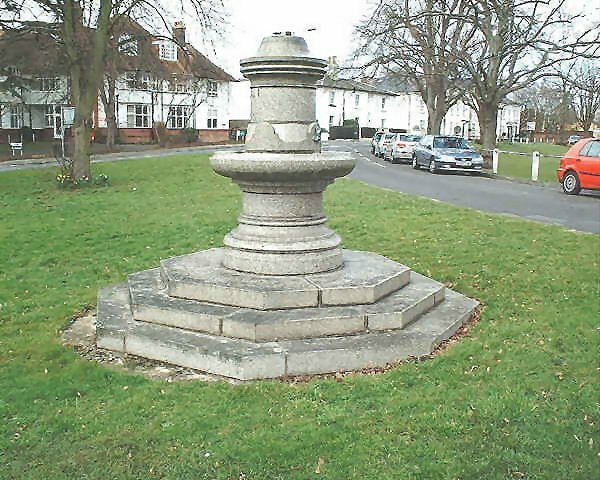 The fountain is between Hanger Hill and Princes Road in Weybridge. Photograph dated 1st March 2008. The original idea to commemorate Mr Yool was to build a technical institute in Weybridge. 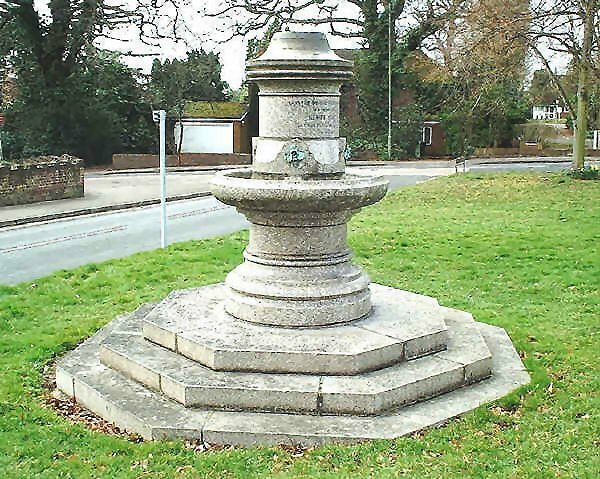 However that idea was dropped and the Metropolitan Drinking Fountain and Cattle Trough Association were instead approached to supply a suitable monument. The fountain cost £195 plus the cost of the inscription. Weybridge drinking fountain 1st March 2008. Drinking fountain at Weybridge. Princes Road in background. Photograph dated 1st March 2008. The dedication on the drinking fountain at Weybridge 1st March 2008.